Fayerweather SummerTime | Jamming with Kate! SummerTime is a program that runs for two weeks in June. It is designed for children entering PreK through fifth grade. Our mornings are filled with specialties like gardening with Habitat, gross motor games with Knucklebones, and engineering with Parts and Crafts. In the afternoons, children in grades PreK-K engage in outdoor play and indoor crafts while the older students choose from afternoon electives ranging from sports, cooking and science experiments. Best of all each child has the opportunity to participate in an exciting water game day, Waterpalooza. Daytripping is a special option for students entering grades 6-8. From June 17-21, kids will cool off at Revere Beach, ride the roaring Codzilla speed boat, and get see Boston through a different lens. With three chaperones leading the way, the daytripping model is designed for kids to discover Boston in new and safe ways. Fabulous Fayerweather music teacher, Kate Lee, will show kids how to rock their hearts out on some of their favorite instruments. From vocals to guitar, musicians will have a chance to express themselves. At the end of the week, they will have the opportunity to perform live or produce a recording. Fayerweather is known for our unique culture, which helps students connect with their own curiosity to find joy in the learning process. Our vibrant classrooms are filled with passionate teachers and engaged learners. We hope our website inspires you to come see for yourself how we are igniting confidence by truly knowing each child, engaging their intellect and awakening their imagination. Calling all musicians who want to rock out this summer! Join longtime FSS music teacher, Kate Lee, and jam on any and all of your favorite instruments - guitars, keyboards, drums, vocals, even ukuleles. Spend your days learning some of your favorites songs and discovering new ones. Musicians will have the chance to express themselves, practice their craft, perform live for the Summertime community and even produce a recording or video. This class is offered the week of June 10-14. Class runs from 9am-3:00pm with a lunch break around 1:00pm. 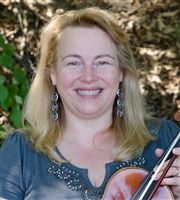 Kate Lee has been teaching music for over 20 years and is currently the K – 8 Music teacher at Fayerweather Street School. Kate’s primary instruments are violin, guitar and bass guitar, but she also instructs students in basic skills on a number of other instruments including vocals, kit drumming and keyboard. Although some prior experience is always good, students do not need to have experience on an instrument to join in the class. Kate’s approach is to create an exciting dynamic classroom by weaving student choice together with traditional music learning theories. Fayerweather is a private PreK, kindergarten, elementary and middle school. We engage each child’s intellect, imagination and social responsibility. Our students are confident, resourceful and enthusiastic learners.